C.C. 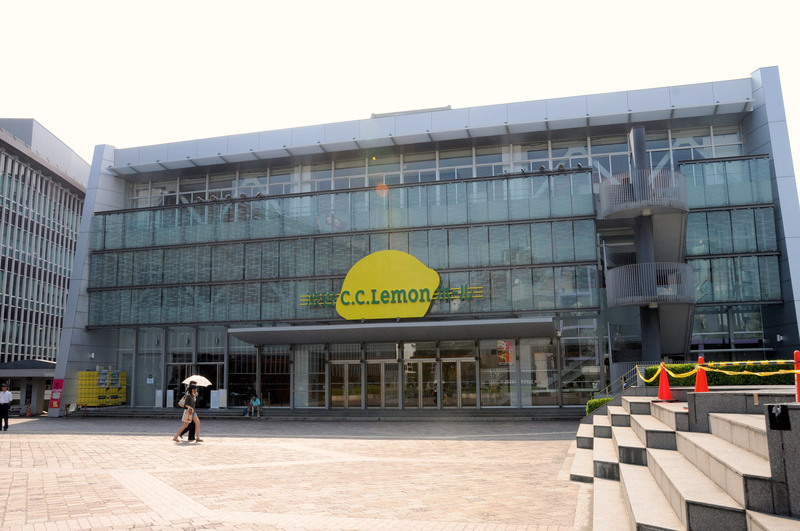 Lemon isn’t just the name of a soft drink — it’s also the name of a famous concert hall in Tokyo more popularly known as Shibuko — a mecca for aspiring rock stars throughout Japan. But the well-known site, formally renamed Shibuya C.C. 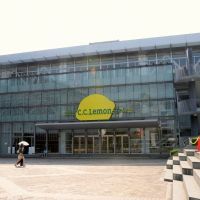 Lemon Hall in 2006, will shed its new moniker in October after beverage maker Suntory Holdings Ltd.’s ¥80 million naming-rights contract with Shibuya Ward — the facility’s owner — expires, allowing it to go back to its original name, Shibuya Kokaido Hall. Here are some questions and answers on the growing trend of naming rights. Naming rights offer companies the chance to purchase the right to name public facilities ranging from stadiums and athletic fields to concert halls. The practice has been prevalent in the United States for more than three decades but is relatively new in Japan. In recent years, more local governments have been taking advantage of naming-rights opportunities to acquire funds to help them more profitably run and maintain the venues they own. For the sponsors, renaming facilities that attract a fair amount of attention is generally considered a good means of advertising their companies and products. When the contracts are made, the sponsors are often entitled to other deals, such as promotional brochures printed by the local governments that feature the renamed venues and special usage rights to the facilities for a number of days each year. In some cases, winning naming rights is seen as a way for the sponsors to contribute to local areas by stabilizing and improving aging and costly facilities. As the economy continues to struggle, however, more companies are slashing advertising budgets, making the ability to pay such large fees for extended periods of time more difficult, although local governments have been coming up with more creative ways to attract sponsors. When did naming rights come into practice in Japan? The business model gained widespread public attention in March 2003, when Chofu’s Tokyo Stadium was renamed Ajinomoto Stadium after food and spice maker Ajinomoto Co. The naming rights were bought from a third-sector group consisting of the Tokyo Metropolitan Government, Mizuho Bank, Keio Corp. and several others. Between 2003 and 2008, Ajinomoto paid a total of ¥1.2 billion for the naming rights. Since the contract runs until 2014, the firm is expected to have forked out ¥1.4 billion for the rights by the time is expires. What kinds of facilities have been renamed so far? According to Teikoku Data Bank, which surveyed 99 companies who won naming rights to facilities owned by local governments between 2002 and 2010, 57 companies purchased rights to rename sports facilities, including professional baseball stadiums. In the same period, 21 companies won the naming rights to cultural halls, while nine won the rights to retitle parks and forests maintained by local governments. The other 11 firms won the rights to other sites, including roads and tunnels, the report said. Of the 99 companies, 30 were in the manufacturing industry, the report said, adding that those with headquarters or plants in certain municipalities often bought the naming rights to local facilities. These included automaker Nissan Motor Co., which named Nissan Stadium in Yokohama, Mazda Motor Corp., which named Mazda Zoom-Zoom Stadium in Hiroshima, and Fukuda Denshi Co, the medical equipment maker that renamed Fukuda Denshi Arena in the city of Chiba. While there is no clear set of rules regarding how prices are decided, size and reputation are among the elements most likely to influence potential sponsors. In some cases, facility owners set the prices when they seek applicants. In other cases, owners ask the applicants to name their price and hammer out the details later. The latter is especially true when private-sector land owners are involved, observers say. According to the Teikoku Data report, when local governments first offered naming rights, the prices were often too high and failed to attract sponsors. Contract periods vary, but lawyer Hiroko Ichikawa says, in her book “Nemingu raitsu no jitsumu” (“Managing Naming Rights Business”), that contracts for Japanese facilities have been known to be relatively short. In the U.S., for example, the contracts often last 20 years or more, but in Japan, even in the case of major and popular facilities, the contracts are five or six years at the longest. Ideally, it is best that the same sponsor continue holding the rights for a long period of time so the facility’s public name recognition grows, Ichikawa wrote. What happened to the naming rights deal between Shibuya Ward and Nike Inc. over Miyashita Nike Park? In August 2009, a contract between Shibuya Ward and Nike Inc. was signed that gave the sportswear maker the naming rights to the park, which is near JR Shibuya Station. Under the contract, Nike was to pay ¥17 million a year for 10 years from April 2010 to March 2020. The deal also included the right to renovate the park with new sports facilities. Shibuya Ward planned to maintain the park with the naming rights fee. But the plan to create the new park stoked criticism from homeless people there and their supporters, who protested that the deal amounted to the commercialization of public space. The controversy delayed the park’s renovation plan for about a year. After a complete makeover that began last October, the park reopened April 30 as Miyashita Park, although it is spelled in hiragana. According to Nike, the firm exercised its naming rights and renamed the park in the hope that it will attract both young and old. It now has futsal fields and skateboarding and rock climbing facilities paid for by Nike. The cost of the renovation was not disclosed. What are some unique facilities that have been put on the naming rights market? Miyagi Prefecture earlier this year sold naming rights to two dams. When it first announced the plan to market the naming rights of six dams in January, Gov. Yoshihiro Murai said he felt that because there are many visitors to the dams, the idea could attract sponsors. “We have a very severe financial situation, so I’m willing to try whatever I can,” he said. Miyagi has also successfully marketed the naming rights to monthly music concerts held in the lobby of the prefectural government office and to its parks. The Nagoya Municipal Government has succeeded in marketing the naming rights of several pedestrian overpasses, while Tokyo’s Setagaya Ward recently sold the naming rights to its community rental bicycle stations. Meanwhile, Kumakawa Rail Co., a public-private railway in Kumamoto Prefecture, has marketed the rights to some of its stations to local companies.